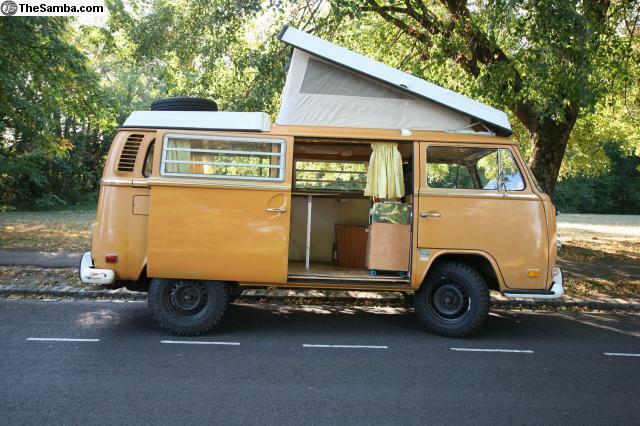 TheSamba.com :: VW Classifieds - 72 Westfalia. 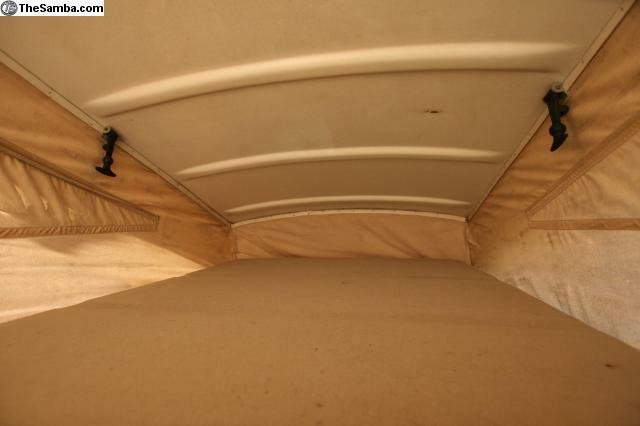 5 berth 1800cc with power steering. 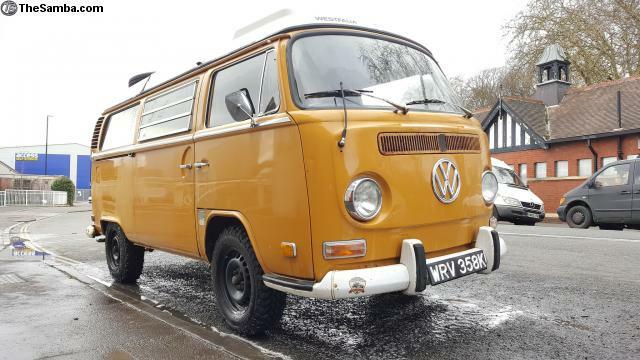 Very reluctantly selling our 1972 Westfalia as we moved house a few months ago and we have nowhere to keep it, and to be frank we could do with some cash for all the work that needs doing to the house. 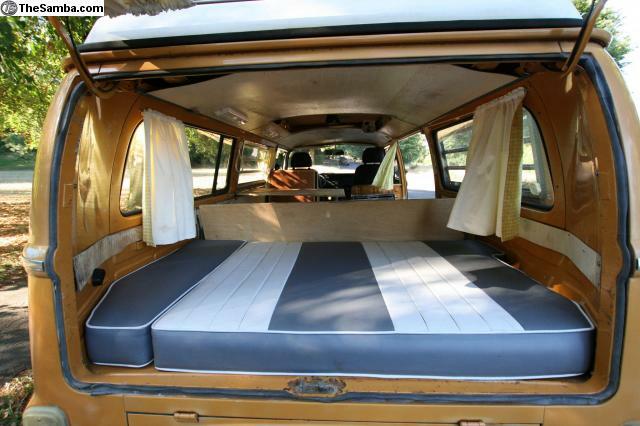 Originally from California this van is solid underneath with no chassis rot. It had a new MOT last May, but now it's MOT exempt so it won't need another one. It is also UK road tax exempt. 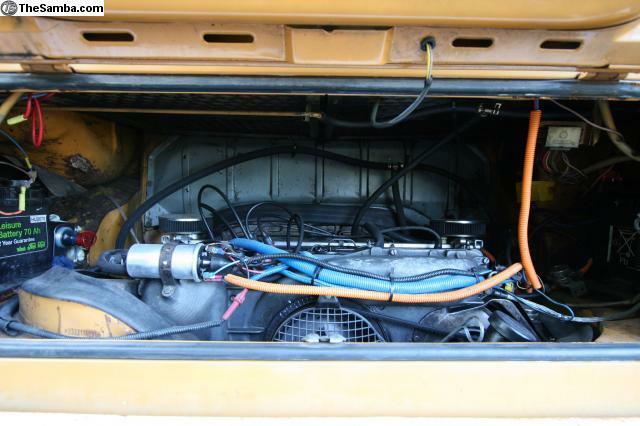 The engine is strong, reliable and happy and the overall feel of the van is a good condition original 'survivor' - one that has been maintained but never had the dubious blessing of a full restoration. It's a 5 berth - full double fold out bed, 2 children or small adults in the 'continental' roof bed and one child in the hammock across the cab. 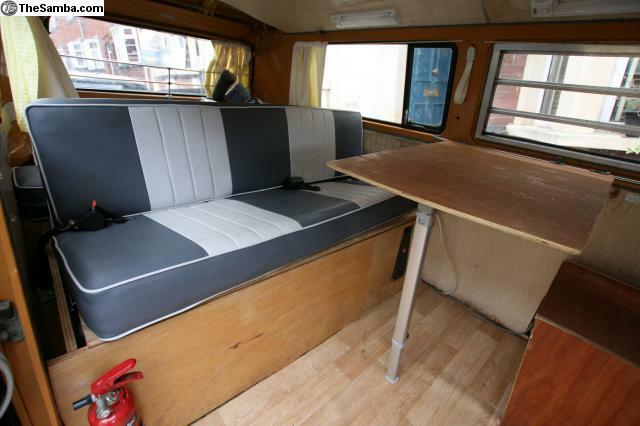 It has a swing-out cooker that can be used sitting inside or standing outside the van. There are USB charging points and there is a Zig unit and leisure battery, with external hookup for mains electric. This 1972 crossover model has the early front end with the late back end, and benefits from servo-assisted brakes. The power steering unit is from lite steer and it's truly amazing – a joy to drive, especially when it comes to parking. With servo brakes and power steering you could almost be driving a modern vehicle. 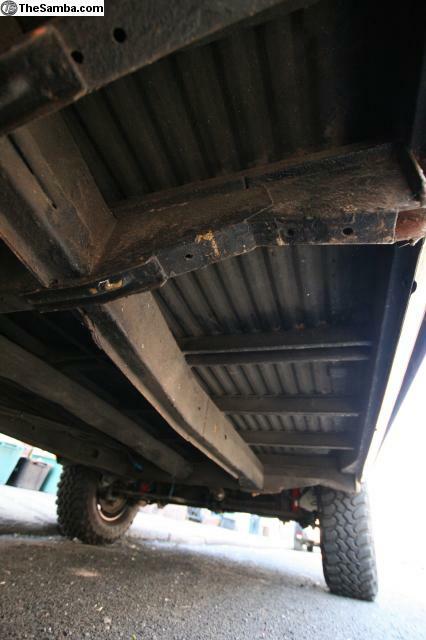 The tyres are big knobbly ones making the van sit slightly higher than normal, giving it a popular rugged look. Engine is an 1800cc type 4 (almost identical to that of the Porsche 914) with twin Weber ICT 34 carbs. It had a new top end (piston, barrels, heads) several thousand kms ago, and it's running strong and happy and is very reliable. Its very happy cruising at 60mph on the motorway, and climbs hills with ease. During the rebuild I fitted temperature senders on all four cylinder heads, displayed on the dash with an aviation gauge, giving enormous peace of mind about the health of the engine. The engine has the correct working thermostat and flaps, commonly missing on these. In the 5 years we've had it we've never had to come home on a towtruck, and we've done some long journies in it, the longest being to the far west coast of Ireland. There have been a couple of roadside repairs though - a wiper problem in a downpour (after which I fitted new wiper bearings) and a fuel leak (after which I replaced all the fuel lines with R9 spec to cope with modern fuel). Front seats are from an MG, and are infinitely more comfortable than the originals, without looking too garishly modern. The cab carpeting is from Madmatz and was fitted only a year or so ago. The van is parked at my mum and dad's house in Portishead (10 mins off the M5) and that is where you can view it. I'm happy to take you on a long test drive involving some motorway travel and steep hills etc so you can see how happy it's running. I find these things very difficult to value, and it is often the buyers who have a better idea of value than a seller, because it is they who are looking around. I've done some online research and think that £14.5k seems a fair and non-greedy price but would entertain near offers.